Michael McFadyen's Scuba Diving - Gab Gab Reef No 2 - Guam Guam is a place many people may have heard of, probably because of World War II, but most people do not really know where in the Pacific it is located. Guam is a territory of the United States of America and is located in the western Pacific Ocean. It is the largest and southern-most of the Mariana Islands. It is approximately 2,500 kilometres from Guam to Japan and Port Moresby, Papua New Guinea. It is basically due north of Sydney, albeit 5,283 kilometres away. While Guam is an extremely popular location for holidays for people from many Asian countries, especially Japan and to a lesser extent, South Korea, it is not a place high on the "must do" list for Australians. 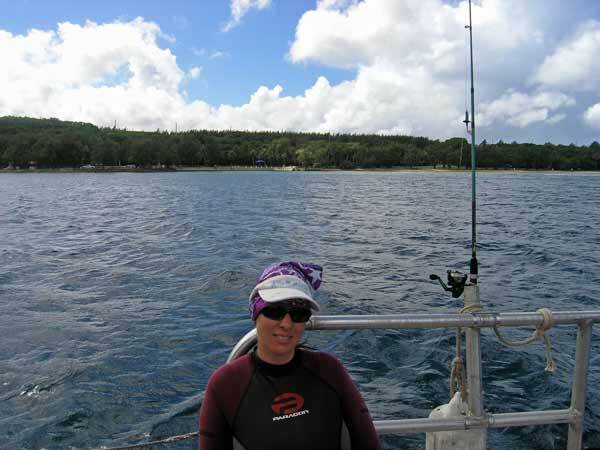 Virtually the only Australians who visit Guam are scuba divers, and even then, most only visit as a consequence of their aim to visit other locations. 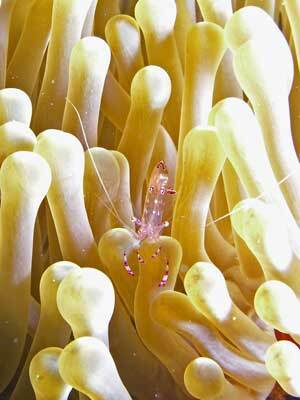 For many Australian divers, the only time they visit Guam is when travelling to or from Chuuk or Palau. Guam is not all that big, it is only just over 40 kilometres long and up to 16 kilometres wide. 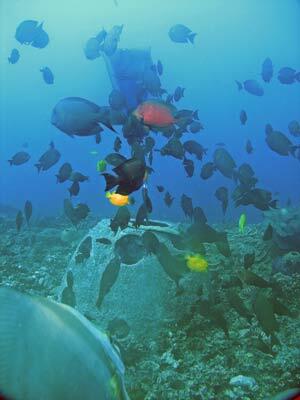 There are coral reefs all around the island and as such, there is a lot of dive sites around Guam. However, there is only one location that visitors can dive as charter boats/dive shops only run out of one location, Apra Harbor. Apra Harbor is the only protected anchorage in Guam and is located at the westernmost point of the island. It is not a huge harbour (in fact is appears to be an artificial harbour with the northern side man-made), but big enough to be home to a US naval base (with nuclear submarines). Inside the harbour are a number of wrecks, the best known being the World War I German ship SMS Cormoran and the World War II Japanese ship Tokei Maru. Most of the diving seems to be not on the wrecks, as when we dived there the operator had not dived the above two wrecks for a long time, over a year. Outside Apra Harbor there are a number of dive sites quite close and there are even a couple of sites inside the harbour. 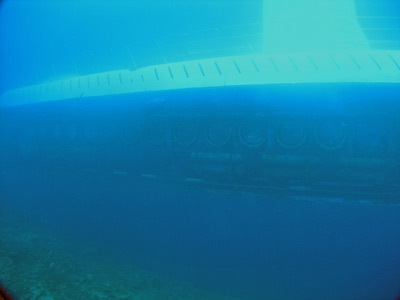 This article is about the most popular site inside the harbour, Gab Gab Reef 2. Gab Gab Reef 2 is located about half way along the harbour towards the southern shore. It is just off Gab Gab Beach which is located inside the Apra Harbor Naval Reserve. A GPS Reading N13° 26' 42.0" E144° 38' 37.0" using WGS84 as the datum will put you adjacent to the reef but off it. At this location there is a mooring. The mooring is in about 30 metres and is not on the top of the reef as you would imagine, in fact it is not even on the reef. You will see the reason for this soon. After entering the water, you start dropping down and straight away head north. Do not go too deep as there is no reason to get deeper than about 18 to 20 metres. The visibility here is not brilliant, but about 10 to 15 metres is the norm. After about 30 or 40 metres you should see the reef. Have a look as you go, you will probably see some giant trevally that hang under the boats when moored and also lots of batfish. Once you hit the reef you will see that there is a lot of coral, mostly of the cabbage leaf type. The fishlife is also pretty good. Try to note where you hit the reef for the return trip. Head to your right and follow the reef around. The reef here is a sort of mini-mountain, although I am not certain if the southern side goes down deep like the other sides. The bottom appears to be about 30 to 35 metres. As you go you should see a lot of fish. In addition, there is one huge "fish" that you will undoubtedly hear before you see it. What sort of fish? A submarine! 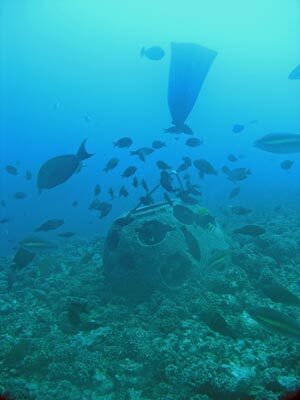 This is one of the few locations in the world that a midget submarine operates, transporting tourists on a dive so that they can see fish and coral. The submarine seems to hold about 20 passengers and you will certainly hear it coming. The submarine starts its trips just to the west of the mooring. 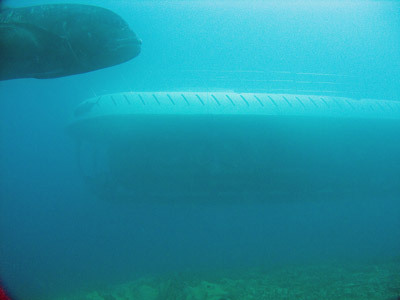 It surfaces after a dive and meets their larger boat that transports the passengers from the shore. There is also a small boat that operates as a guard to make sure that no-one is near when it surfaces (which it does quite dramatically - like in the old World War II movies). The sub is powered by two electric motors. It also has one or two other motors that operate like bow thrusters. The sound is like an underwater scooter, although a bit louder. Once the submarine comes into view, you will see that it moves very slowly. There is no problem keeping up with it should you desire. 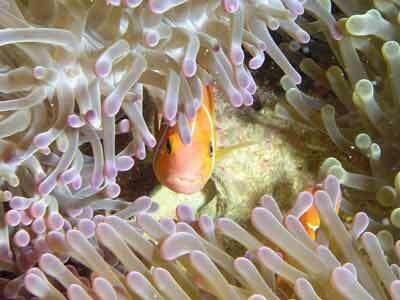 The submarine operators have set up a number of feeding stations on the reef. These consist of a concrete "ball" (a bit like the ones used in Sydney for artificial reefs) with a float and a food device. The device appears to be just a mesh bag in which some food is placed. When we dived here all of the bags were empty, presumably the fish had already got the goodies out. These feeding stations are located more towards the top of the reef. From memory there were three or even four of them. Also in this area there is at least one radio recording station. This is identical to ones seen in New South Wales at Fishrock. It is used to record the IDs of tagged fish/turtles as they pass by. Anyway, when a submarine comes by, you will certainly want to take a closer look, this is no problem. You can see the passengers and they will be waving at you and also taking your photograph. 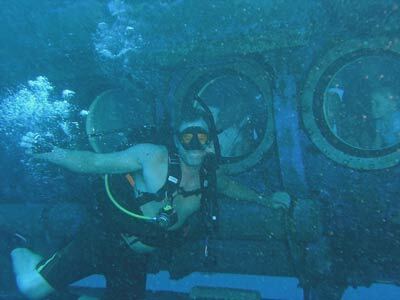 I am sure that half the fun for the passengers is to be able to see scuba divers. 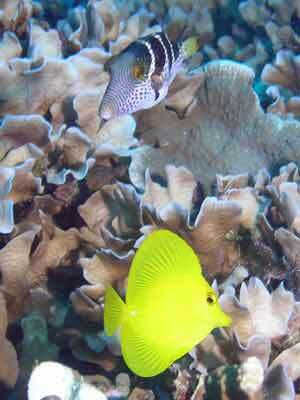 Spend your time on the reef going between the feeding stations and the sides of the reef. It is easy to spend an hour here. There are lots of fish, including giant trevally, various triggerfish, batfish, many species of butterflyfish and lots more. This is an interesting dive, made more so by the submarine. The fishlife is also very good, although the visibility is only average. I dived with Micronesian Divers Association but did not use their own boat. As they had a lot of divers on the days we were diving with them, they sub-contracted the boat for us from someone else. I can recommend them as the operation seems pretty good. Video shot by Kelly McFadyen on our November 2011 trip to Guam.